Pharmceutical giant, LupinLimited expects to train more than 1,000 under graduates into pharma professionals by the year 2020 under its Learn and Earn Initiative, a senior company official said today. Lupin has launched its 'Learn and Earn' initiative in which candidate who has passed Standard 12 in the science stream with a minimum of 50 percent marks but are facing financial constraints are taken for three-year-long course during which they are paid stipend and provided all the facilities. "Since 2011 Lupin has helped to create a total of 560 graduates with 181 students passing out this year (2018)," C Srinivasalu, senior vice president (HR) Lupin told reporters in Goa Thursday. 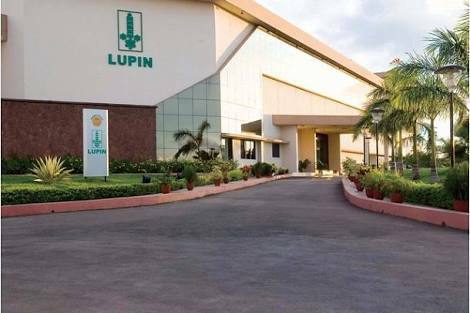 "We expect to graduate more than 1,000 students by 2020 adding to the manpower resource of the pharmaceutical sector," Srinivasalu said adding that "most of these would be absorbed by Lupin." The company has initiated the 'Learn and Earn Initiative' at its facilities in Goa, Tarapur (Maharashtra), Indore (MP), Aurangabad (Maharashtra) and Sikkim, he said. During the course period, the candidate undergoes five days on-the-job training with one day of classroom session, Srinivasalu said. Further, the students have to compulsorily work with Lupin for two years, after completing their course before they have their options open to join any other pharmaceutical firm. Mumbai-headquartered Lupin has estimated that by the year 2020 they would be spending almost Rs 20 crore on this programme. This program will bridge the manpower requirement of pharmaceutical sector in a big way," he said. Addressing media, Yashwant Mahadik, president, global human resource, Lupin. said program was conceptualised in the year 2010 due an acute shortage of skilled manpower. "Historically, Lupin was recruiting 1,000 plus fresh graduates every year with no relevant job skill, and sensed that there was a need of job-ready graduates with appropriate technical and life skills," he said. Mahadik claimed that the main aim of this program was to "create a ready pool of talent in India to be part of the booming pharmaceutical sector.